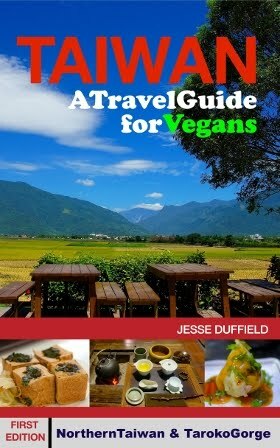 Hakuba is a vegan oasis in the Japanese ski world, and also the site of the 1998 Winter Olympics. This is because there is a vegan restaurant right on the ski slopes and because the Hakuba Highland Hotel has chefs willing show off their culinary skills and cook up fresh, delicious and authentic Japanese food, which is probably the best Japanese food I've ever eaten. It's not just the Olympic past which make Hakuba worth visiting. And it's not just the food either - the views are spectacular. But it can also get quite blizzard-like up the mountain! Hakuba lies almost directly across the main island of Japan from Tokyo, about 50km from the West Coast. It's possible, but slow, to reach it by conventional train, with the best route being a shinkansen to Nagano (about an hour and a half), and then a bus to Hakuba (about an hour). It's a perfect location for a three-plus day excursion from Tokyo. It's generally significantly cheaper to go through a travel agent for a deal combining the shinkansen and the hotel (and possibly lift pass) than to book both independently, and it has the added benefit of the travel agent being able to explain vegan requirements. I was fortunate to be in Hakuba after a massive snow drop in April 2012. It was probably the result of some good research by my travel agent (Jack Rabbit Travel in Motomachi, Yokohama) and perhaps a little good luck too (given that it's not something likely to be listed in Japanese travel literature!) that she discovered that the Hakuba Highland Hotel chefs are willing to cook delicious Japanese food for a visiting vegan. Their reportiore was, understandably, somewhat limited at first, but it grew over the course of my two visits, and included egg-less tempura and various hotpots (as in Taiwan, but with seaweed as a stock). 2013 Update: The food was even better - and quite spectacular - in my recent trip. I can't recommend Hakuba Highland Hotel enough, but it's vital to let them know in advance that you're vegan. The food was beautifully prepared (of course) and I really enjoyed trying authentic Japanese cuisine cooked by a local chef. Portions were generously sized, and a couple of times they brought out so much for breakfast (which I had to cook myself over a burner) that I nearly missed the shuttle to the skifield. Cooking the range of foods over the flame was quite a novelty. Allow plenty of time for these breakfasts! But all this breakfast requires is some serious eating. 2013 addition: It just keeps getting better and better! The mochis (top right) were pre-cooked, but they also gave me a burner to heat them up. 2013: Daiya may not have made it into the Japanese culinary world yet, but I was so sure the cheesy topping on the potato really was that I apologised and said I couldn't eat cheese. The mildly-offended waiter explained that it was made of soybean powder. Their chef is amazing! I'm not a big fan of onsens, but the Hakuba Highland Hotel also has a nice outdoor onsen, and it's a great way to soak tired limbs after skiing, with a mountain view and snow almost up to the edge of the (covered) bath itself. The hotel is warm, clean and friendly, and a short, free shuttle-ride from the train station (where the bus from Nagano Station stops) and the ski fields. Nearby on the slopes of Happo One Resort is the incredible Roots Cafe. It is owned by Evergreen Outdoor Centre, which was started by Dave Enright eleven years ago, when he ran courses in avalanche safety and worked as a sole ski instructor. From there the business has grown into a hive of year-round outdoor education activities. I have been pleased with my ski lessons over the last year. Five years ago Dave started Roots Cafe as a way of giving back to the community. Not only does it use locally produced vegetables and organic rice, but Dave grows some of the produce himself during the summer months. It also holds regular charity events, including one event which raised enough money to buy and deliver a new tractor for a tsunami-stricken village in Tohoku. Roots cafe has now grown into a busy cafe, and you'll be lucky to find a seat during the busy lunch period around midday. What I tend to do is come early (say between 10:00 and 11:00) and then again for a late afternoon snack around 3:00 - 4:00, to tide me over to dinner. Note that the main courses (eg the wraps) are only available until 2:30, but there are plenty of snacks available afterwards. They also sell baked goods which are ideal for quick snacks on the ski lifts. Snack time. Wrapped bars and biscuits are fresh from the oven, and make great snacks for the ski lifts. The tea was good too. Unfortunately on my first visit, I simply didn't know about them, and found out by chance from a vegetarian ski instructor on my last day, and on my second visit (in April, partly to try this cafe), it had closed for the season the day before I arrived. I finally made it here in February 2013, and wasn't disappointed. It just makes the whole ski experience so much nicer when hot vegan food is so easily available. How many ski slopes are there in the world where one can find hummus and pita platters right on the slopes? The food is simple, healthy and delicious, and very suited to a hungry, non-vegan ski-boot-clad clientele, both Japanese and foreign. They use organic rice, and locally grown vegetables. Lunches like this Mexican Wrap are available until 2:30. But the Soup of the Day (here Minestrone) and snacks like these Soy Karage balls are available all day. Cows milk is available for drinks upon request, and their burger buns contain milk powder (because they are bought from outside) but otherwise everything is vegan. Some sauces contain honey, so if you don't eat honey, then ask which products contain it (and please read this article). The range of wraps (including falafel) were my favourite, but they also had this Chinese dish and an Indian-style curry. Roots Cafe (and Evergreen Outdoor Centre) is on the slopes of Kokusai. The Hakuba Highland Hotel shuttle bus stops at the Gondola, from which it's possible to get to Kokusai by skiing either of the former Olympic routes (black runs). It should also be possible on green runs, but it's a bit more complicated (check a piste map). Alternatively, it's only a five to ten minute walk around the base of the mountain. I recommend eating twice at Roots Cafe - preferably first before 11AM, and the next before the 2:30 finish of main dishes (snacks are available until 4:30) - and at the Hakuba Highland Hotel, but should you find yourself in Hakuba in need of food in the evening, the only Indian (and Nepalese) restaurant, Hindi Momo, has two vegan main dishes, Dahl and a Spinach-tomato curry, and the owner was happy to explain what was vegan. I found the dahl to be the best of the two. August 2013 Edit: On my original post (on my Vegan Taiwan blog) I noted that the nearby Goryu resort has a Subway restaurant, but have since learned that the breads (like virtually all of the sauces) all contain dairy products, so I don't recommend going anywhere other than Hakuba. Also in Nagano (a train, bus and walk from Nagano Station) are the famous snow-monkeys (Japanese macaques which bathe in "onsens" during winter. I haven't (yet) been, and am undecided about whether or not to. So far as I can tell, including from accounts by people who have visited, there are no issues of abuse, and the monkeys are not in any form of dependence or captivity. Feeding them, for example, is prohibited so as to prevent them becoming dependent on humans. One could argue that humans are intruding on the monkeys habitat, with swarms of tourists pouring through daily, while however it is a perfect opportunity for the public to see and experience the sentience of non-human animals in their natural habitat. If you do go, please let me know what you think. I've just discovered your blog and I'm really grateful for it. It's amazing! I want to be vegan but I live in Japan, but this blog makes it possible. Definitely putting this ski field on my list. Thanks for existing!